An obituary for Edward Payton BROOKS, who died in 2014. This obituary appeared in print in the San Diego Union-Tribune on Sunday, 29 June 2014. It also appears on the Union-Tribune legacy.com web site and the El Camino Memorial—Pacific Beach legacy.com web site (which will expire in August 2015). See an expanded version of Ed’s DFC exploits. 04 July 2014, revision 1. 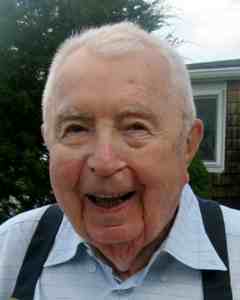 Edward Payton Brooks, 91, died June 17, 2014, in La Jolla, CA. He was born August 10, 1922, in Brockton, MA, where he grew up. He attended MIT, but left at the beginning of WWII to enlist in the U. S. Army Air Corps. Though the war ended before he completed his pilot training, he participated in the Berlin Airlift and the Korean War, where he served as commander of the 30th Squadron, 19th Bombardment Group. He earned the Distinguished Flying Cross for successfully piloting his crippled B-29 home after an encounter with the enemy over North Korea. After retiring from the Air Force, Ed obtained a law degree from the University of Wyoming, although he never went on to practice law. Among other things, he became a railroad man, car salesman, tax preparer, and pawn broker. He gravitated to the west coast, spending the last decades of his life in San Diego. He took emphatic pride in his military service, and maintained close contact with his bomber crew until he could no longer travel. He appreciated American cars, fine dining, and the company of women. He was unfailingly courteous and gentlemanly, and, even beset by the frailties of age, displayed enviable cheerfulness and zest for life. Mr. Brooks was the son of the late Edward Payton Brooks and Jane Ellen (Naylor) Brooks. He was the brother of the late Raymond A. Brooks, and the former husband of Lois (Angelovic) Brooks. He is survived by his brother Charles K. Brooks and his wife Mary, of Florida, his niece Cheryl Brooks of Attleboro, MA, his niece Cindy Brooks of Richmond, RI, his nephew Raymond A. Brooks of N. Kingstown, RI, and his beloved caretaker for the last three years, Rhoda Brown. Arrangements are under the direction of El Camino Memorial—Pacific Beach, San Diego, CA. For more information or to send Ed’s family a condolence or remembrance, visit pacificbeachchapel.com. We would be pleased to hear from Uncle Ed's friends, many of whom he talked about, but most of whom we never met. Published Tuesday, 26-May-2015 22:27:15 EDT. Copyright ©1999-2019 Raymond W. Scanlon.